In MotoGP it’s very easy to look upon the class as two distinct groups. There are the prototype bikes at the front and the CRT bikes at the bike. There is a gulf in performance between the two bikes with the prototypes enjoying a substantial power advantage in the region of 50 bhp and the CRT teams having the advantage of extra fuel during races and more engines over the course of the season. However the challenges facing rookies in the premier class are very similar regardless of whether they are riding a prototype or a CRT bike. 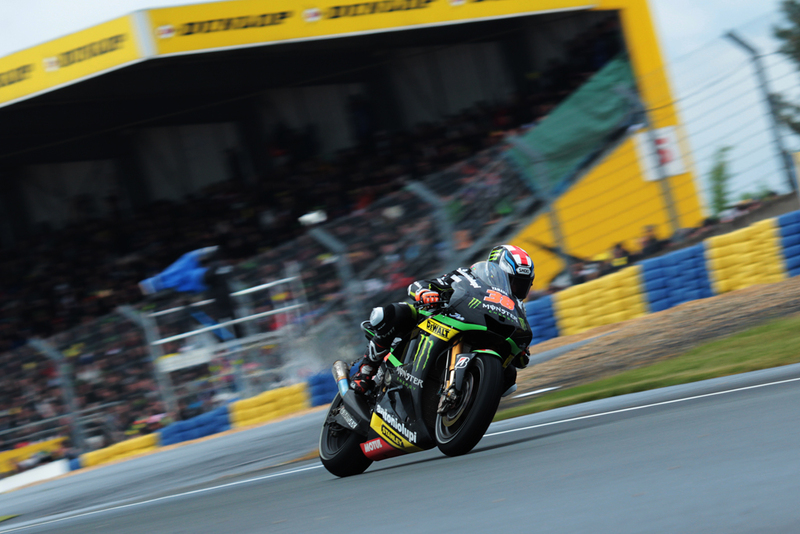 Over the course of the Le Mans weekend I spoke with both Tech3’s Bradley and PBM’s Michael Laverty to ask how they are adapting to MotoGP. It is not just the machinery underneath Smith and Laverty that differs both riders have enjoyed very different routes to MotoGP and arrive at different stages of their career. Smith has raced in Grand Prix since 2006 and has been a full factory Honda and Aprilia rider in 125s before moving to the intermediate Moto2 class with Tech 3 in 2011. Laverty on the other hand is 31 years of age and has spent the majority of his career racing in the Supersport and Superbike classes in Britain. In 2007 Laverty was the British Supersport champion before moving into the British Superbike championship the following year and has established himself as a leading rider in that series. Both riders are now in the early stages of adapting to MotoGP machinery and it was remarkable that even with such different machinery at their disposal the challenges and difficulties that have faced as rookies were very similar. For Smith the biggest challenge is getting on the limit immediately. Whereas his teammate, Cal Crutchlow, can immediately set a fast time on his first flying lap Smith needs to build up to that. Adapting to a new bike is something that Laverty has gotten used to in recent years having ridden for Suzuki, Yamaha and Honda in BSB but the biggest challenge for most riders adapting to MotoGP revolves around the tyres. Bridgestone, providers of the control tyre, have produced tyres that are superb once they are in their optimum working range. Laverty has had to adjust his riding style to adapt to the tyres. Once Smith can learn how to get more from the bike he should be well placed to meet his other target in the coming race; finishing within 30s of the race winner. This equates to roughly one second per lap and it is regarded as a “magic number” within Tech3. Members of the team have said that if Smith can finish within this time that “anything is possible” for him. Finding the confidence to push from the off in qualifying will be key for Smith going foward if he is to reach this goal. Laverty knows that to make progress he needs to be able to hit the ground running from the opening practice session. As a rookie who will be racing at most circuits for the first time he has to spend time learning nuances of each track takes time so it is crucial that he can arrive at the track with a good base setup. 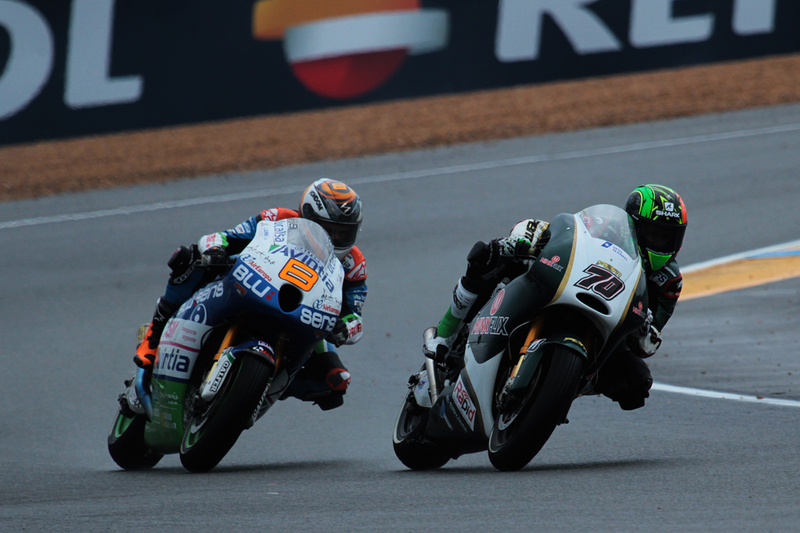 This obviously takes time but there are signs of progress, in Jerez Laverty was faster than Hernandez in the dry. Developing the bike from scratch means that PBM will have some difficulties this season and for Laverty the biggest issue at the moment is braking. The combination of the PBM chassis and Aprilia engine has meant the bike will understeer and push him away from the apex. As a result he, like Smith, he is having to ride below the limit so that he can set solid and consistent laptimes. Gaining confidence in their bikes and understanding how setup changes impact on the handling is key for both riders. 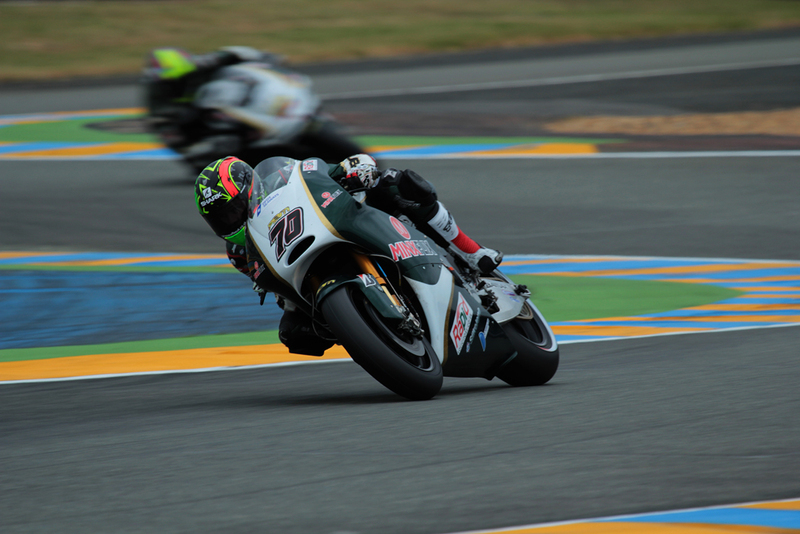 They have already spent the opening four races making a myriad of changes to their bikes to try and find a comfortable base setting but at Le Mans it was clear that both were finding their feet in the premier class. For Smith making it through to Q2 automatically was a big step. 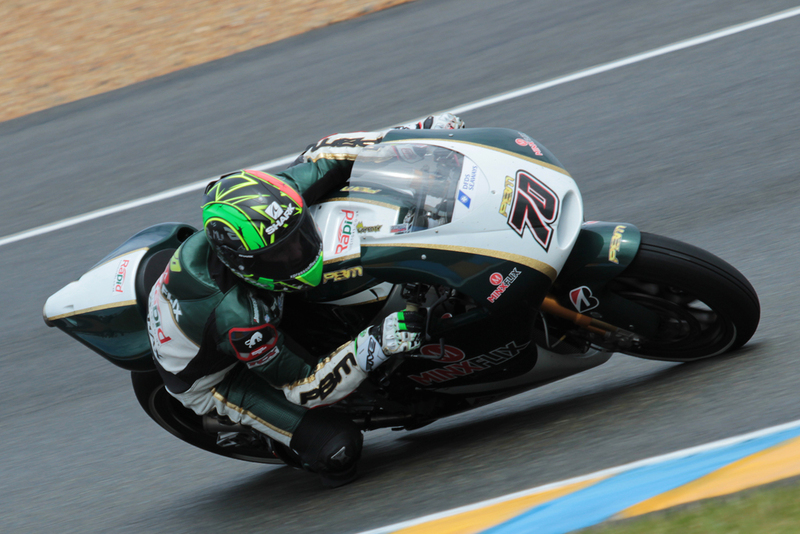 For Laverty the steps will be incremental as PBM iron out the kinks of a new bike. 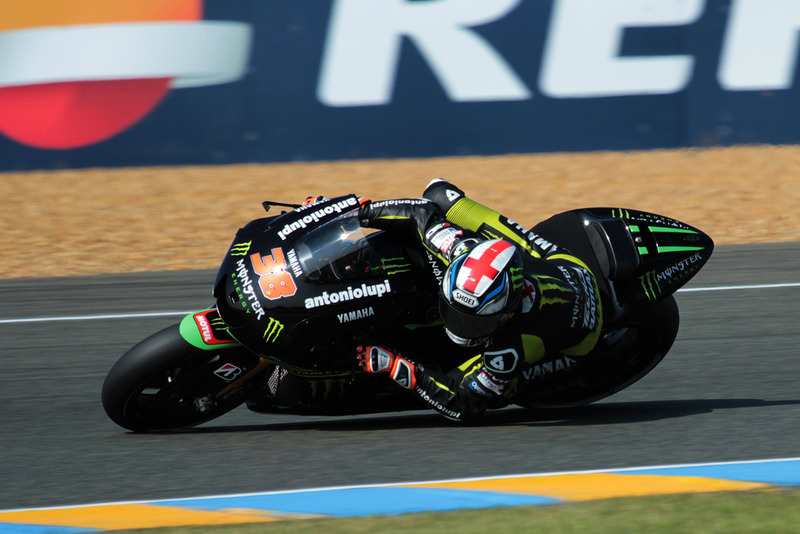 His strong race performance in France, at one point he was the second fastest CRT bike in the field, shows that he is adapting to life in MotoGP. The bikes might be different but the challenges facing these rookies are similar. This entry was posted in Analysis, MotoGP and tagged Bridgestone, Cal Crutchlow, Cathode ray tube, Grand Prix motorcycle racing, Honda, Le Mans, Michael Laverty, Superbike. Bookmark the permalink.